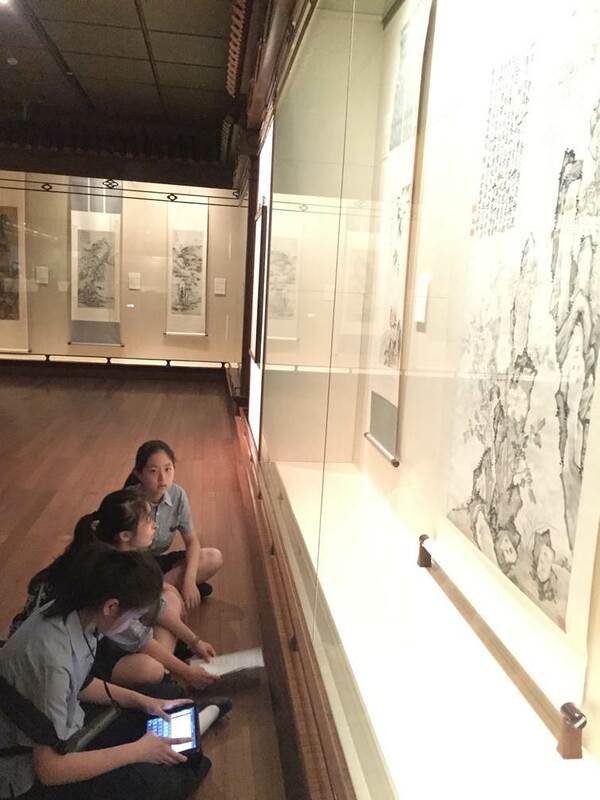 Recently we, the Year 8 CFL classes, had been studying traditional Chinese painting in our classes. The teachers compared and contrasted these paintings with the portraits during Renaissance and the oil paintings of impressionism. We were then required to sketch or paint our own version of our favorite traditional Chinese painting. 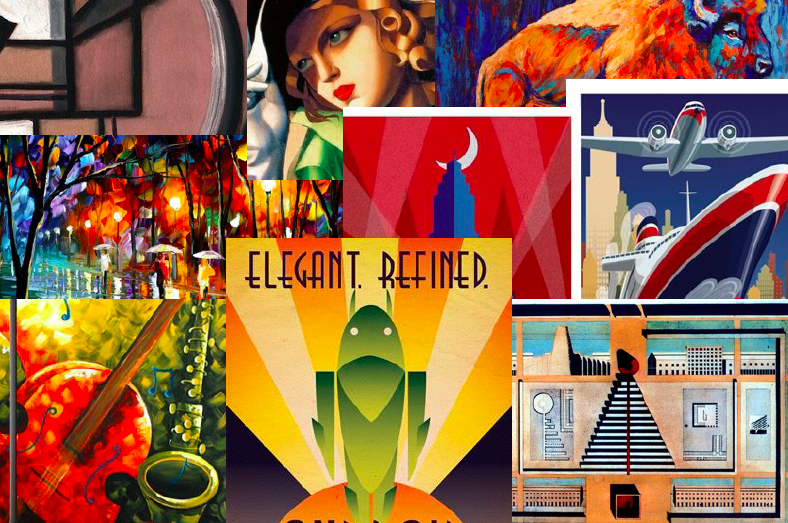 At last, we came to the point where we experienced discovering these paintings ourselves. 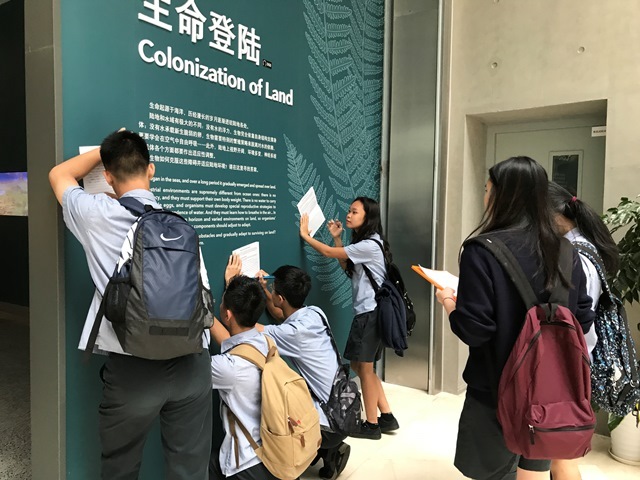 For our Chinese field trip, we went to the Shanghai museum, however, for a different purpose. We were asked to design a personal dictionary with our partner about the most “elegant” or the most “representative” traditional Chinese painting. From the moment we arrived at the museum, we immediately started examining each painting and taking photos with our school iPads. One of the most memorable paintings for me was about a monk carrying the weight of his luggage and a mysterious black ball. This painting was spectacular because the black ball was very peculiar and looked like a giant squirrel. After taking photos, everyone started filling in their dictionary. 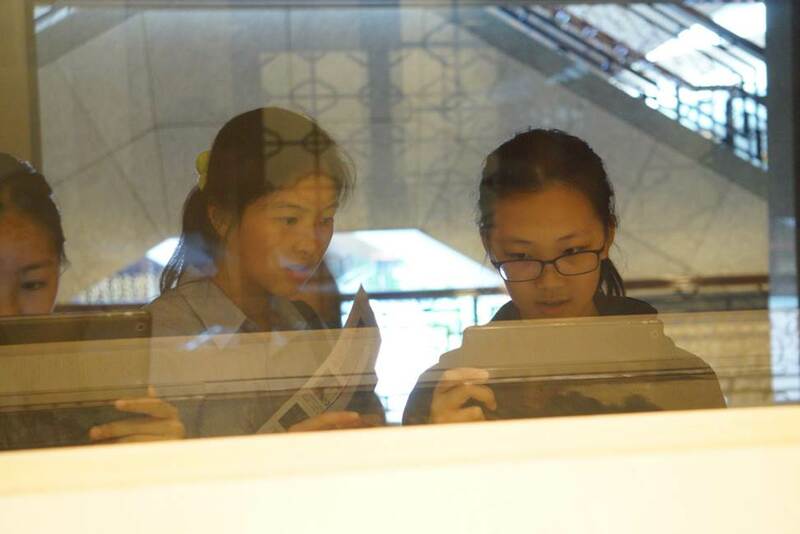 Even though the museum was crowded, we still managed to get the dictionary finished and had enough time to visit the other exhibitions. My partner and I had interest in the stamping section, so we spent most of our time there. In the end, everyone in both classes had a group photo, marking another year of diligent and exciting learning. 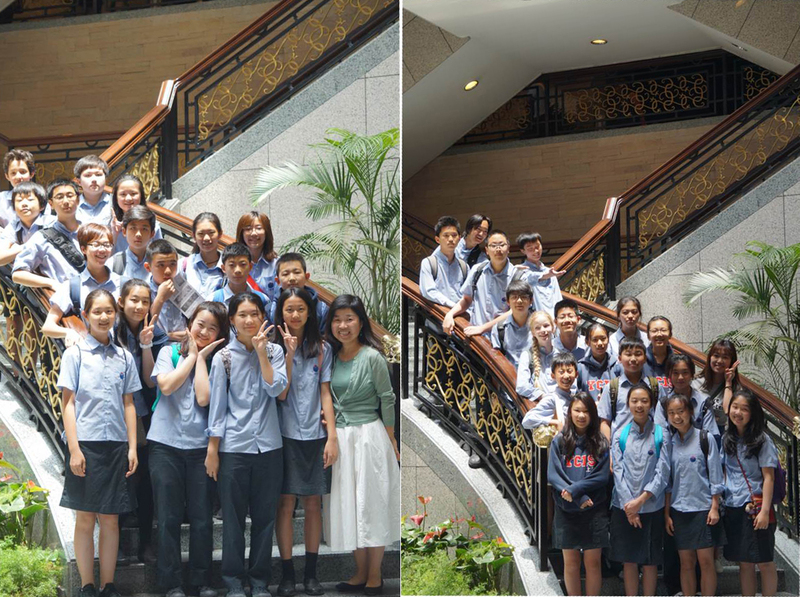 The Chinese field trip was an extraordinary one and I am sure everyone had lots of fun! We humans take many things for granted. Walking upright, using the vocal chords to make sounds, making meaning of language and situations, working with tools and technology, expressing ourselves through art and visual media. Do we even give a minute of our day to think about how far we have come from the days where advanced cranial capacity was not the norm for every human? The other thing that is taken for granted nowadays is our environment. Do we realise how fragile our ecosystem is and have we understood the components of the system to create sustainability and longevity? 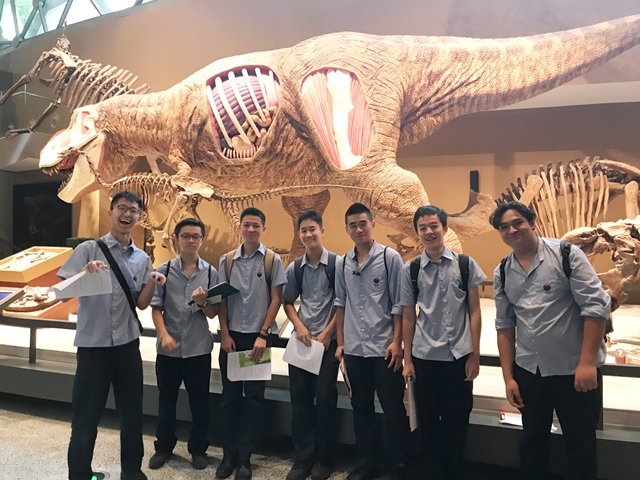 In an effort to either answer some of the lingering questions or to add on to the existing list of queries, the Y12 Biology and ESS students were taken to the Shanghai Natural History Museum on the 19th of May 2017. 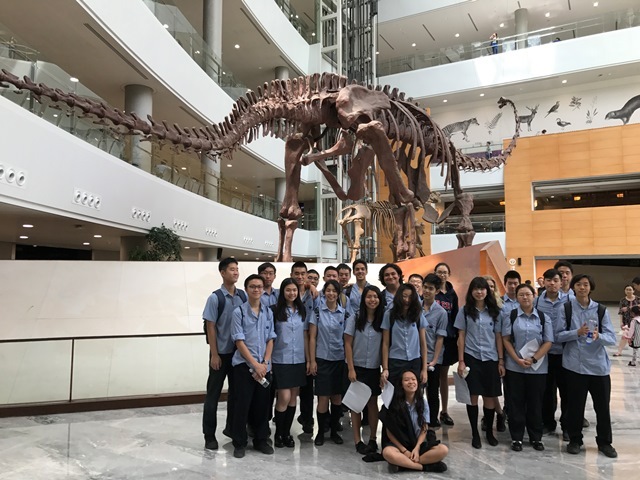 During the visit, the students who are introduced to topics like Evolution and Biodiversity through their IB curriculum, worked to expand their insight into the topics through exploration of the exhibits and discussions with peers and teachers. 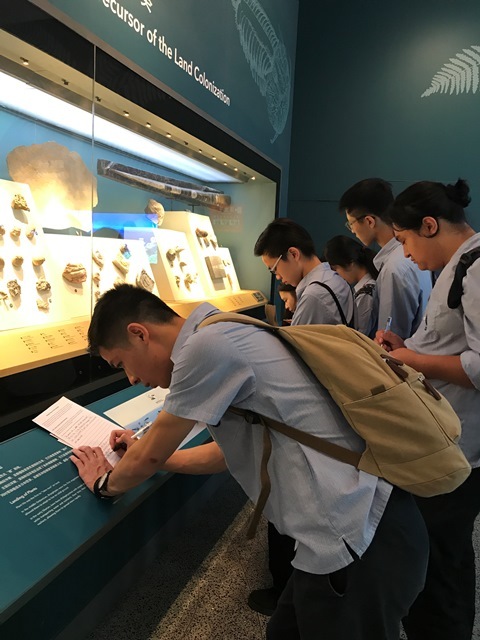 The vivid explanations provided in the exhibits gave the students a clear understanding of the past, present and future of both man and ecosystem. 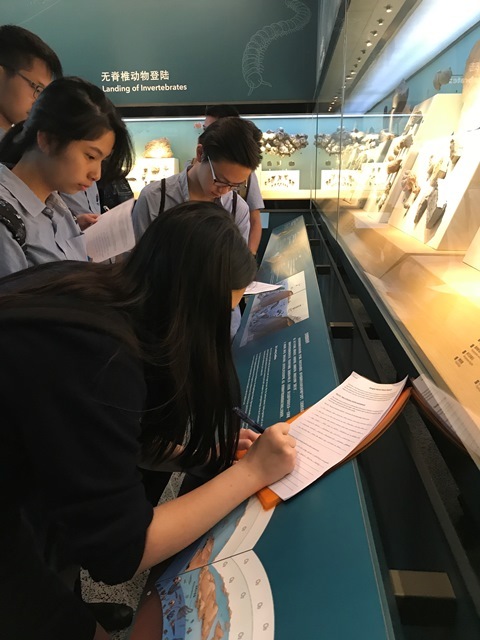 After the full day trip, though exhausted, the students seemed to have benefitted from the extra knowledge they had gained and above all seemed to be understanding and appreciative of the luxuries, we modern day humans have, in hand. One of the students remarked “It’s good to see how far we have come! It will be interesting to see how far we go?”. True! 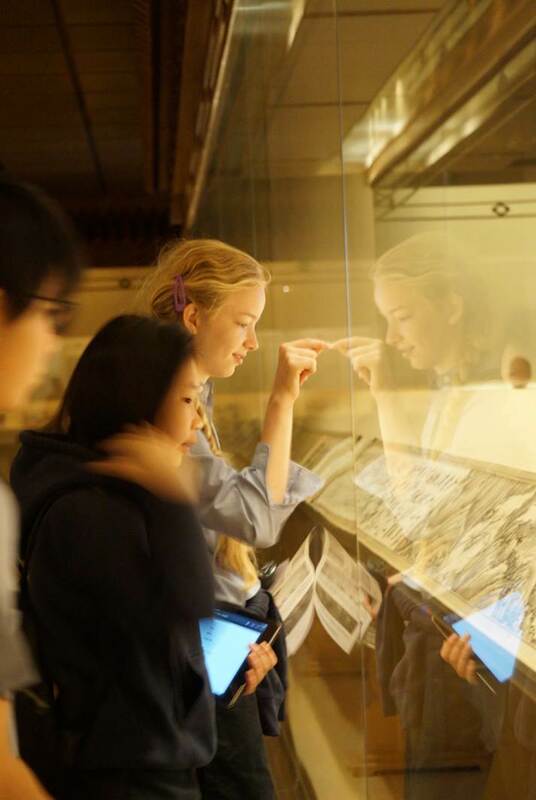 Students were set the task of investigating a world city and to showcase this through exhibiting it in at least three different ways. These methods could include a slideshow, podcast, interactive game, music, video, and model. Students had to address the major opportunities and challenges that cities today face and had to investigate how cities can become sustainable. The showcasing brought different classes together and allowed for enhanced sharing of ideas and understandings. YCIS is a closed test center. As such, this service is available only to YCIS students. We are excited to be able to offer this opportunity to our students beginning in the fall semester. We look forward to assisting our students in their further academic pursuits. I thought the tournament was really good and fun. It was fun because my friends were all there. I also really enjoy the sport volleyball. The volleyball season was one of my favourite seasons this year. Our team always worked together and competing against the other schools was really fun I feel like I really improved my volleyball skills and I am looking forward to joining next year again. 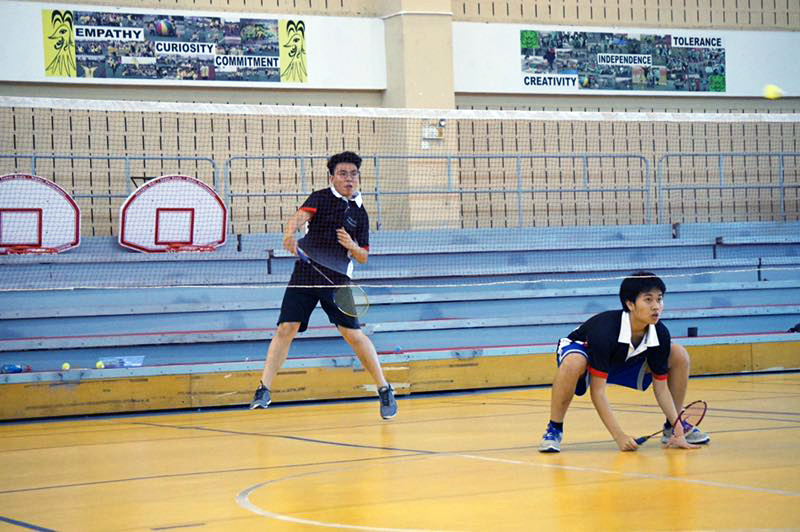 This volleyball season I was in D2, it’s the first time I joined CISSA volleyball. The season was pretty good and we won most of the games. I learned how to bump, set and smash. It was pretty challenging but I got it after some practices. Overall the season was great. I made new friends and also learned new skills. I think that the season ended well, the tournament was fun. I had lots of fun in the D1 team. 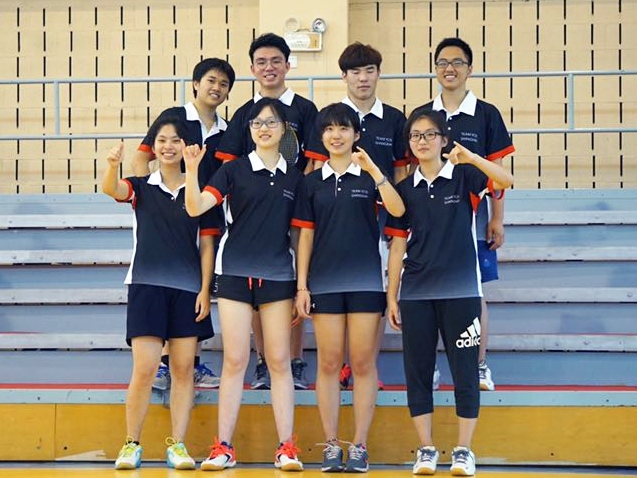 Our D2 team played at the SISAC tournament in Suzhou last Saturday. We got to school early 6:45 and headed for Suzhou. We were all tired and most of us slept on the bus. As we got there early, we warmed up and got ready for the competition. Our first match was against Dulwich Shanghai, which we won, narrowly 3:2, with victory in Boy’s singles, Boy’s doubles and Girl’s doubles. Second match we lost to Concordia, a 1:4, as all of us lost except for our undefeated girl’s doubles. Throughout the competition we have won and lost and have learnt a lot within. We’ve met strong opponents, whom we have struggled to beat, but I am proud to say none of us have given up and have all fought our best to win as a team. We made it through to fight for spots 5-8. 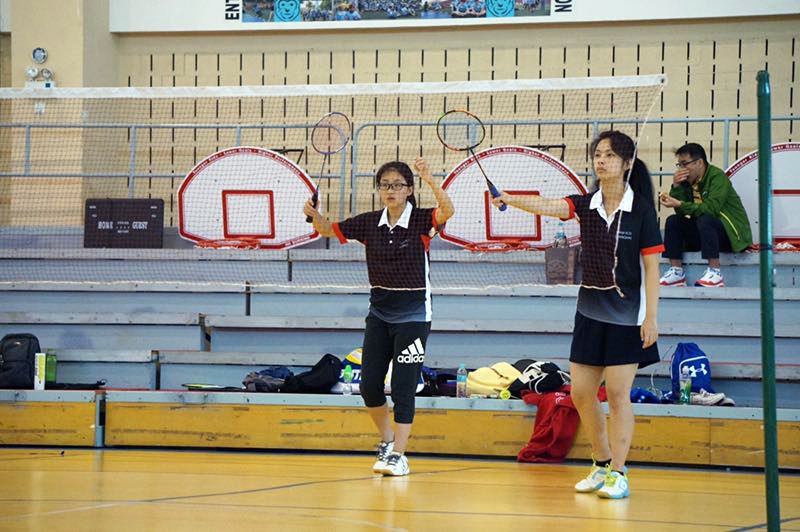 We narrowly lost to SMIC 1 with a score of 2:3, but managed to beat Suzhou3 4:1 to gain 7th place. Throughout the season we have practiced hard all for this day, and we have done the best we could. I will never forget this memorable experience, and our D2 team will never be the same with our graduating Y13 students Forrest Chen and Wayne Lim leaving. 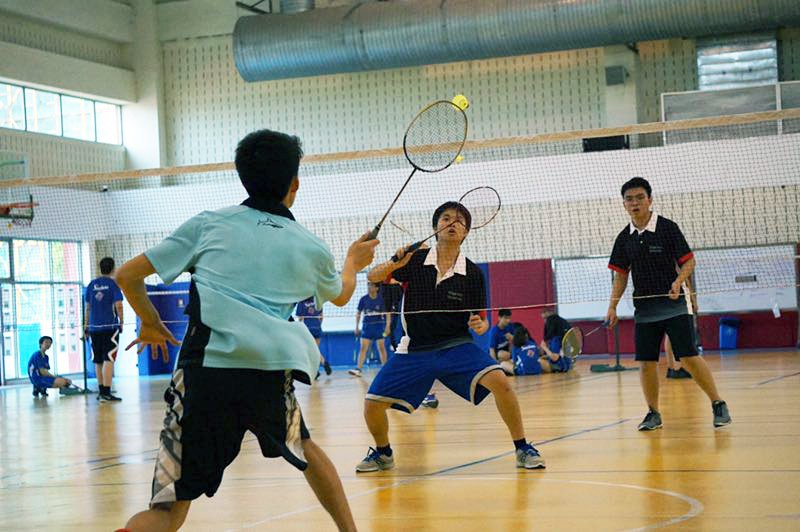 Badminton season has been great, and I hope we will all play again next year. 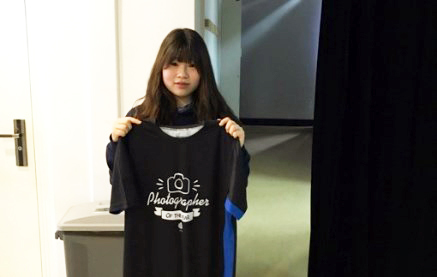 A special award was given to Ga Rim BACK for her extensive time and effort placed into photography for sports in both CISSA and SISAC groups. Thank you very much Ga Rim on behalf of the PE and Sporting Departments. 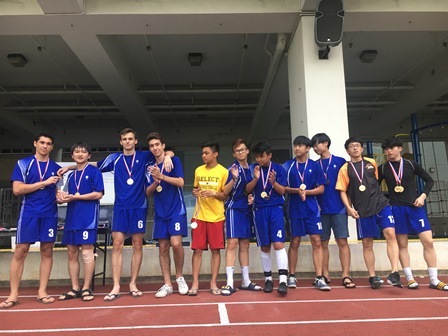 Congratulations to the D1 Boys team who have won the ACAMIS Football Championship for the second year in a row and 3rd time in the last 4 years. Our girls D1 team also did very well and were narrowly beaten to 4th place in the 3rd/4th playoff match. 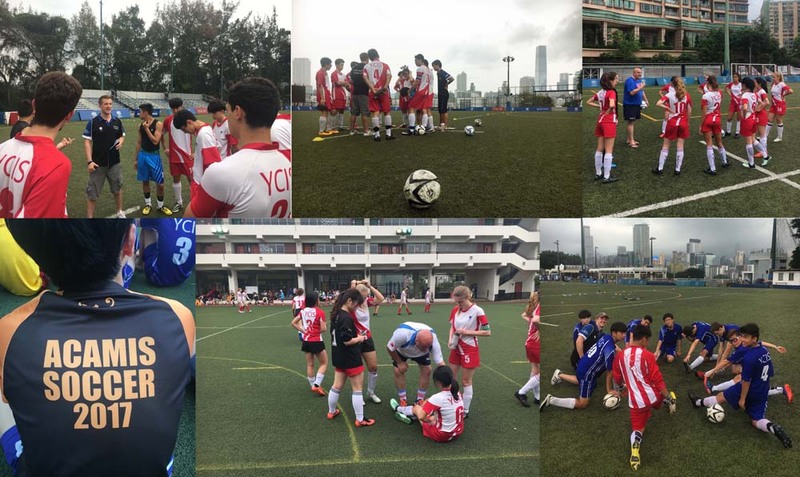 This year the ACAMIS football competition was being held in Hong Kong by AISHK although the majority of the games were being played at King’s Park on the Kowloon side of Hong Kong. We arrived at King’s Park before all the other teams although we did have to arrive at school for 4am in the morning! 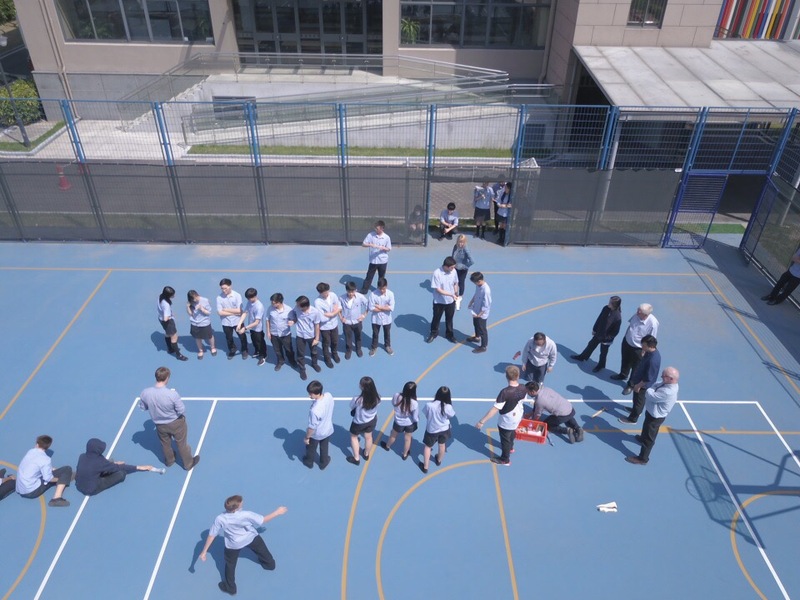 The boys actually lost their first game against Nanjing International School whilst the girls won their first game. One strange fact about the boys ACAMIS victories is that we also seem to lose the first game of the tournament! Thankfully, after this point things started to improve and the boys were unbeaten for the rest of the tournament. 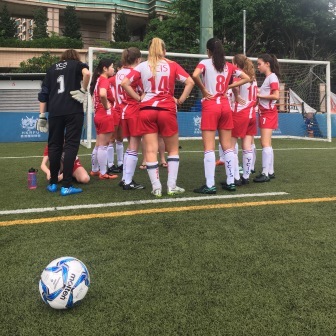 Our girls team were involved with several very close games and being put under pressure to win their last game to reach the semi-finals, the girls delivered when they needed to and went through to the semi-finals getting the 4th spot. The girls had to play AISHK in the semi-finals and this has been the form team of the competition. YCIS were playing very well and keeping AISHK under pressure throughout the game but we were unable to defeat a very strong AISHK side who eventually went on to win the final very easily. The girls can be very proud of their performance though and unfortunately we have to say goodbye to some of our Year 13 leavers Millie Davis, Kyoka Allen and Wendy Qian. All three girls were superb throughout the season; Wendy scored a fantastic free-kick in the group games, Kyoka’s pace up front led to many goals and Millie Davis ended up in the Star team at the end of the tournament. Thank you to all the girls for their awesome contribution to Girls Football at YCIS. The boys’ semi-final was the best performances of the tournament. Up until this point Tom Park (One of the players of the season up until this point) was injured and could only play a few minutes in each game, however these few minutes showed how much quality Tom has on the ball. After beating several players, Tom cut in from the right hand side to shoot from range into the bottom corner and give YCIS a 1-0 lead. Huichan doubled the lead with the goal of the season after beating the whole team (and several twice) to tap the ball into the goal. 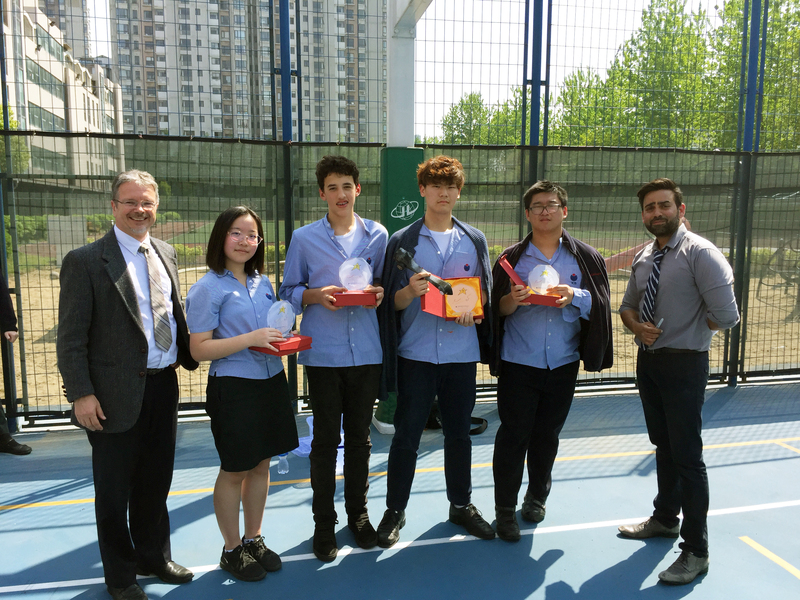 Mike Jung finished International School Beijing off with a fantastic finish from the right hand side and YCIS went comfortably through to the final. 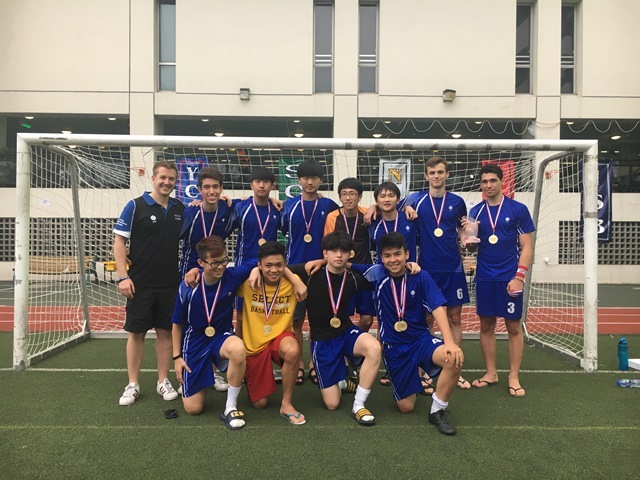 YCIS came up against Tianjin International School in the final but the boys were destined to win this ACAMIS tournament. Other teams were supporting YCIS due to our nice passing game, fantastic skill level and the way the boys conducted themselves on the field. Jeff Lee made the first break through on goal and fired home in the far corner to send us into the lead. Huichan scored before half-time from the penalty spot as TIS were beginning to crack under the pressure we were putting them under. TIS’s frustration came through but our boys conducted themselves superbly to go on and get a third goal as Huichan made a great break and passed across goal for the superb Jared Gallagher to tap home. Vince Yonesu in goal, captain marvel Vinnie Custodio and our other strong defender Kevin Rabe had now gone 5 games in a row without conceding! 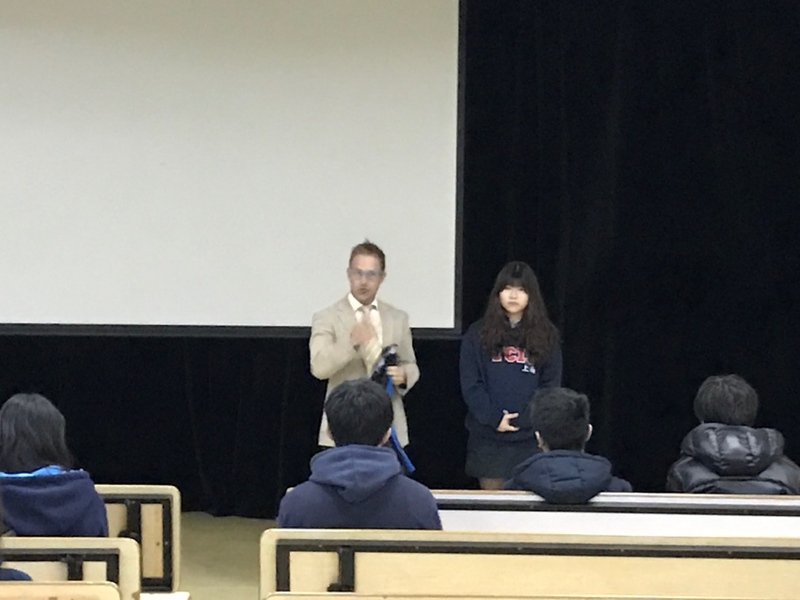 Key players Huichan, Jared and most importantly Vinnie Custodio (Who also captained our Volleyball team to ACAMIS success) took up positions in the star team voted by coaches. Well done to all of those involved in a thoroughly enjoyable and successful football season. 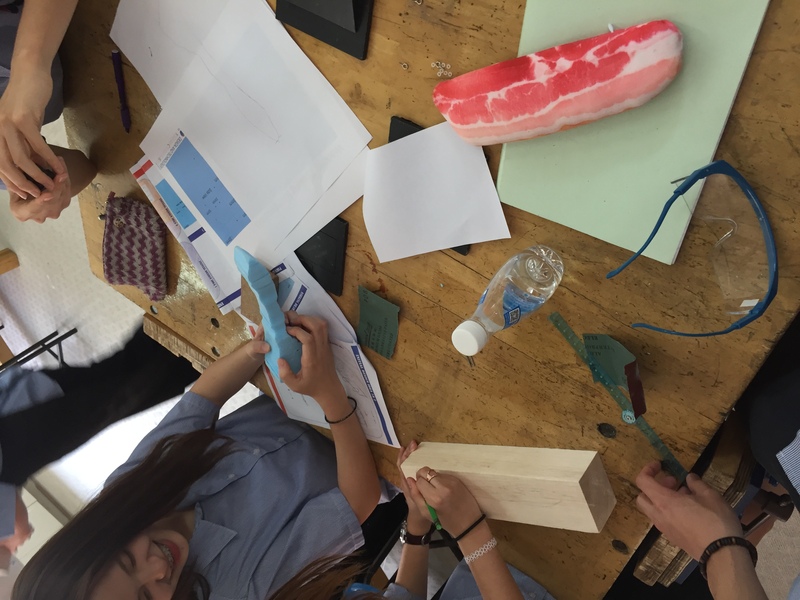 This has been the third successful Y10 Design & Technology collaborative challenge between the Puxi and Pudong campuses. This year we all ventured over to Pudong for the adventure. Once again the students only had one day to design, prototype and manufacture drag racing cars powered by CO2. 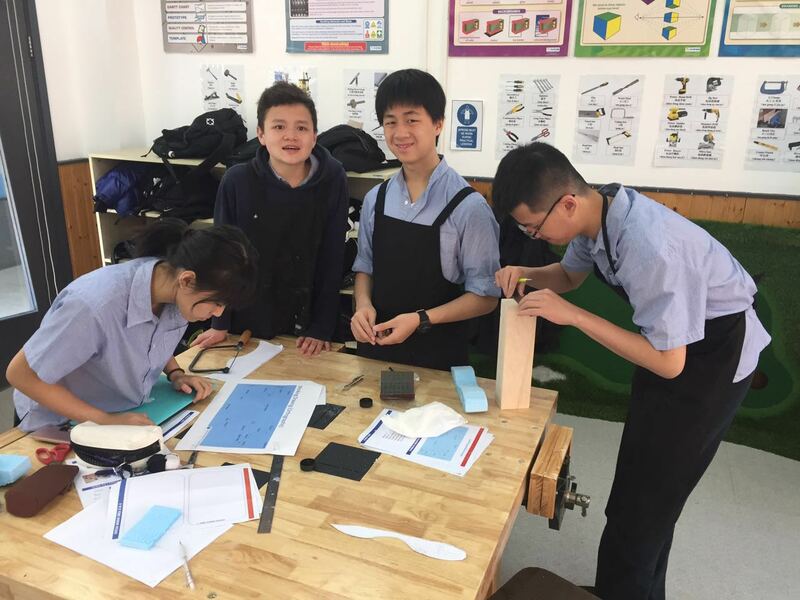 The groups were a mixture of Graphics and Resistant Materials students so they had to draw from each other strengths to come up with their competitive drag car. The atmosphere during the prototyping and manufacturing was intense as the teams knew they had a tight time schedule. 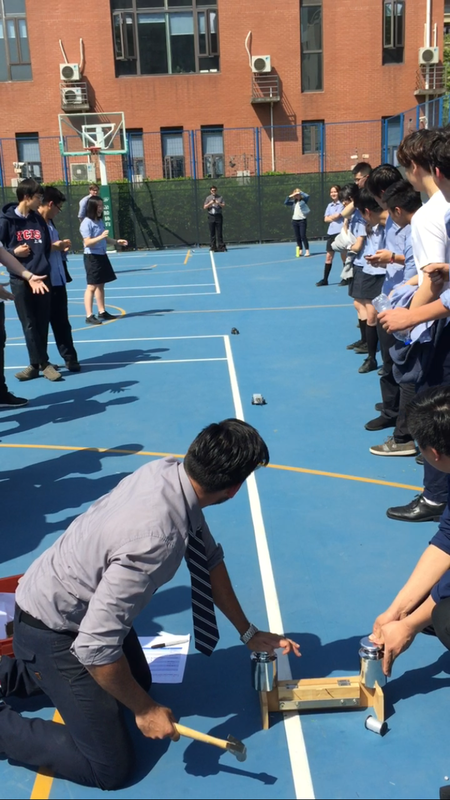 When it came to the racing the atmosphere shifted to an electric buzz as the students waited for the cars to race. Two by two the cars competed and were knocked out of the elimination rounds until we reached the finals and had a winner! 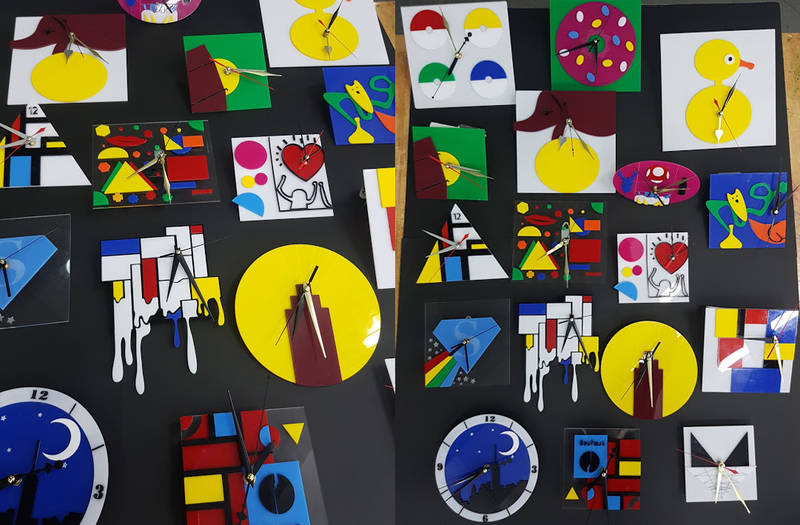 The year 8 students have been developing their understanding of how different designers and iconic design movements such as De Stijl, Art Deco, Bauhaus and Alessi use colour, line, composition and materials to communicate their signature styles. 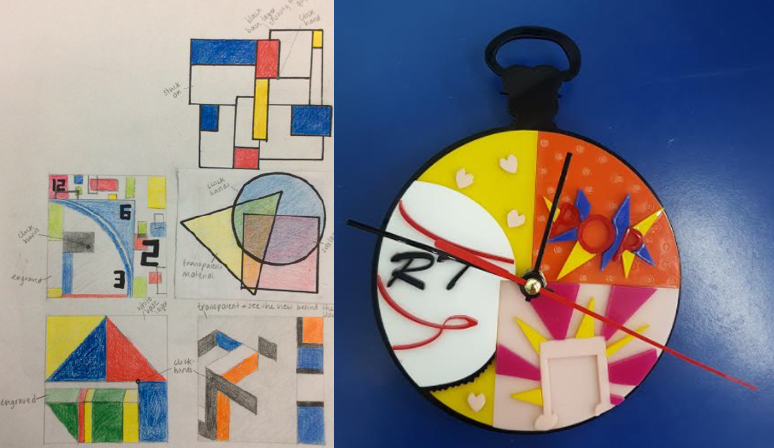 The students designed for a client of their choice, interviewing them to understand their needs and wants and to see where the clock will eventually be displayed and used. Freehand sketching using viewfinders, followed by full size 3D card modelling was used to develop and test each idea, before each student and their client decided on their final design to draw accurately using Adobe Illustrate, deciding which parts of their design will be cut out and which parts will be engraved (computer aided design) so that the laser cutter (computer aided manufacture) could quickly cut out the individual components. 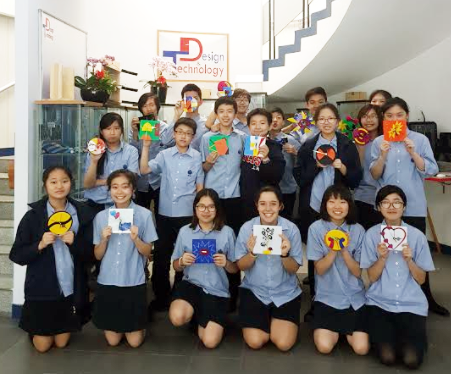 The students then carefully assembled their clock pieces by hand using Tensol Cement. We would very much like to thank Mr. David Zhang, our hard working technician for all his help with the laser cutting. 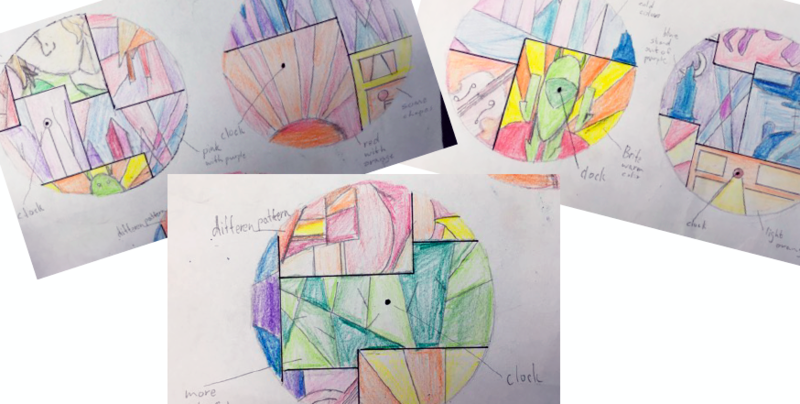 As you can see Y8A and Y8D have developed some very creative work. 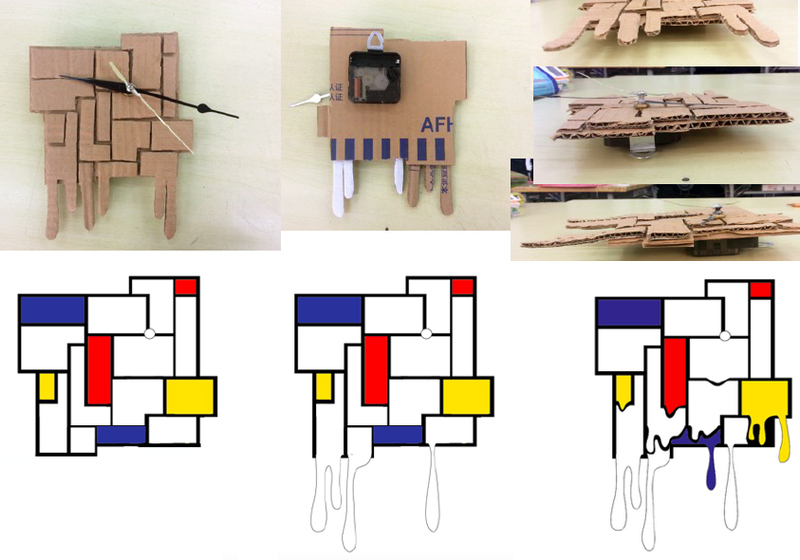 Can you tell which designer or design movement was the inspiration for each clock?